Which wide angle lens should I get? 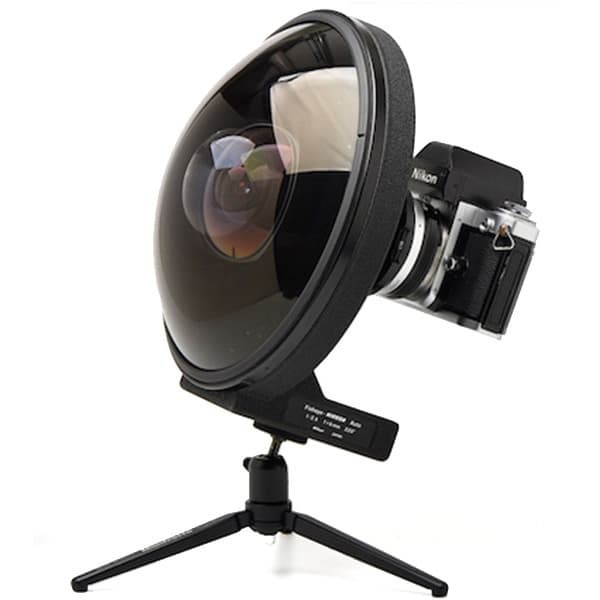 Well, probably not this beautiful Nikon 6mm fisheye lens. Apart from being quite bulky, it’s astronomically expensive. What are wide angle lenses for? As I often try to emphasize during my courses, lenses are ‘translators’, magical devices that allow us to turn 3D reality into a 2D image. We are born with one pair and take we mostly take them for granted. Our eyes are wondrous evolutionary accidents and they show us the world in a way that we assume to be the standard. It is lenses that allow us to see the world in a different way! When you get a new lens it opens up a completely new visual universe in much the same way that people who speak foreign languages can become immersed in new realities. Wide angle lenses translate space in a striking way: objects that are close to the lens appear to be much bigger than objects that are in the background. The wider the lens (i.e. the larger it’s field-of-view is) and the closer the object is, the more exaggerated this effect is. What does this video show? In order to achieve that, the camera had to be extreme close with the widest, 16mm fisheye lens, very close with the ultra wide 17 and 20mm lenses, pretty close with moderate wide angle (24mm – 35mm) settings and then further and further back as the focal length changes from 50mm to 200mm. When you watch the video just observe how the proportions of stone angel change drastically as the lens moves closer and closer to it and how it corresponds to having an ever increasing field-of-view. The size of the angel remains unchanged, but you see significantly more or less of the background. As with any lens, I believe that we are looking for a balance between three main factors: price, range and maximum aperture. What kind of maximum aperture should you be going for? Well, if you shoot a lot in low light or indoors, I would go for a f/2.8 lens. A variable aperture, f/3.5-5.6 lens may do a perfectly fine job when there’s plenty of light but in less light it will force you either to increase your ISO (and thus noise) or use slower shutter speeds (and limit your ability to shoot handheld). What about range? Wide and ultra wide-angle zoom lenses made for cropped sensor DSLRs can be as wide as 8mm (although more typically they start at 10mm) and can go all the way to 20-24mm. As you have already seen, the wider the lens, the greater the distortion and the more dynamic the resulting image can be. On the other hand, most people find that the images created by ultra wide-angle lenses are more special effects gadgets than frequent, practical choices. (But they can be enormous fun!) Try to give some thought to what focal lengths you are most likely to use for your photography. And finally, price. In many ways, this is the decisive factor for most of us. As I like to put it: first, see what your budget is and then make a wish that you can make to come true. In this market segment Sigma is the only manufacturer that offers an extreme wide-angle zoom for cropped sensor DSLRs. And its 10-20mm lenses also have an outstanding 2x focal length range that can be very attractive to many photographers. Tokina makes the only ultra wide-angle zooms for this market with a constant and large aperture of f/2.8. Definitely a feature to consider when picking a lens!